Did you see the Bolshoi perform La Bayadère? Add your comments below. 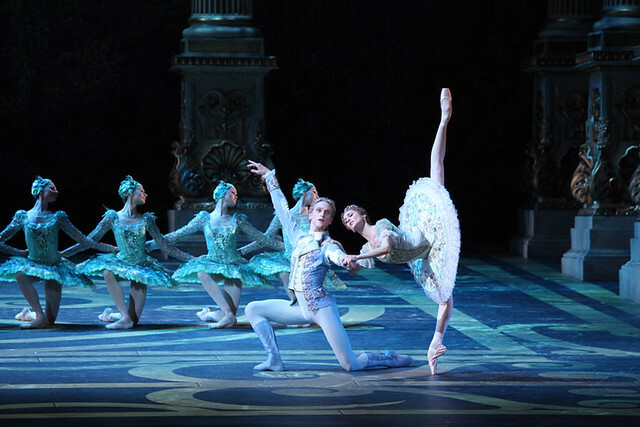 The Bolshoi Ballet perform Swan Lake, The Sleeping Beauty, Jewels and The Flames of Paris until 17 August. Performances are sold out except for returns and there are no day tickets for Bolshoi productions. The set was indeed huge and sitting in the amphitheater, we could only see half of the entire ballet. anything further than halfway up the stage was covered by the curtain :-( shame, but what we did see was marvelous. A very impressive set. Dancers wore nice subtle colours. Excellent show. The sleeping beauty on 5th August was generally a very successful and exciting performance. Ekaterina was beautiful and lovely, I can say beyond my imagination. Artem's jump was breath-taking, his solos received most of the bravos yesterday. It seemed he flied over stage and that stage of ROH was not large enough for him. I liked his performance in Act II, fully involved in the dream created by Lilac Fairy. His support in grand PDD was less satisfying if judged by high standard. There's no miss but he seemed nervous in adagio, therefore lacked emotional exchange with Ekaterina. Well, it was his third time as Prince Désiré and Ekaterina was his third Aurora, so it's normal he had such small inadequacies. I was worried about his physical strength before the performance as it's the end of a busy season, but it's OK yesterday, or at least he made it seem Ok...Thanks the Bolshoi Ballet! Sitting on the left side of the theatre you could really see max. 1/3 of the show (probably 1/5). Very badly staged. Some tickets should NOT have been put on sale. I was expecting an obstructed view, but this was a mere stealth. Very sorry you were disappointed. We do have a view from every seat available online - we've strived to give an accurate representation for every seat in the auditorium. If you booked elsewhere, we'd recommend trying the 'Select your own seat' function in future. Again, sorry to hear of your disappointment.